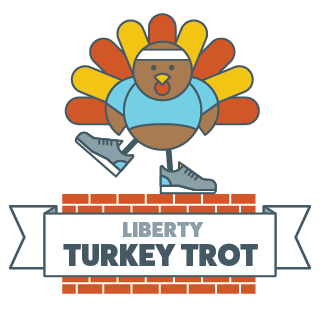 Keep the festivities going and join us on Saturday, November 24 for the Inaugural Liberty Lorton Turkey Trot 5k. Work off your turkey dinner at the former Lorton Prison with a 5k and fun run for the whole family the Saturday after Thanksgiving. Online registration will close on Thursday, November 22 at 8:00 pm. PACKET PICK UP will be held the morning of the race starting at 8:00 am. SWAG: Runners will receive a commemorative race shirt. Be sure to register before November 15 to be guaranteed a shirt. Those who register late will receive a shirt first come, first serve. AWARDS will be given to the top 3 overall male and female finishers as follows.